Most people who start building their first website believe that as soon as their website would go online, there would be a flood of people visiting it and bringing new business to them. In reality, this does not happen like this. A new website is just like a shop in a big desert. No website is by default visible to anyone. 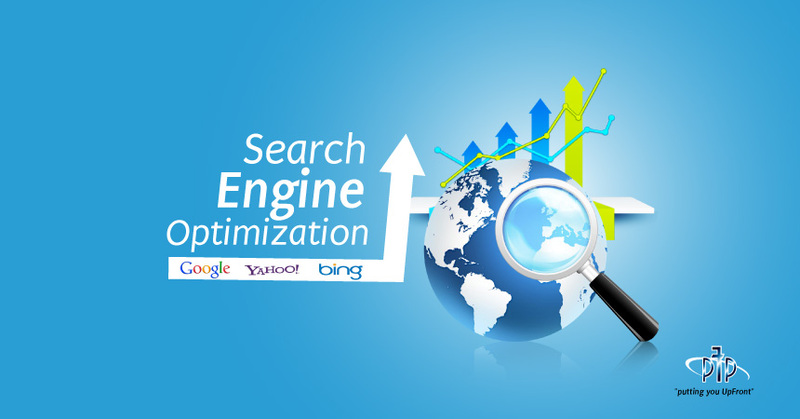 All our Search Engine Optimization efforts have only one purpose and that is to increase the website visibility. It is therefore at the core of SEO. However, first, we should understand what website visibility is. Even before we talk about how visible is a website to search engines, we should note how people interact with search engines. They type certain keywords in the search box and the search engine presents the results page called Search Engine Results Page (SERP). The domains shown higher on SERP are more visible than the ones below. It shows a relationship between website visibility and keywords. Now we can define it. Website visibility is calculated in percentage AND with reference to certain keywords. There is no such thing as perfect visibility. Whenever we say visibility it means visibility for a "set of keywords". So, for example if we are targeting 100 keywords, our domain visibility would be based on those 100 keywords. If our website has a visibility score of 10%, it would mean there is a 10% chance that someone would click on our website if the person types one of those target keywords. The SEO tools which tell a visibility score such as SEMrush or SEO Profiler, ask you to enter the keywords for which you want to know your visibility. The selection of the keywords is therefore crucial for the website visibility score you would get. If you poorly chose the keywords which are less competitive and of less value to your business, you might get a higher visibility score. However, this higher visibility score would not be so fruitful for the business. Now I assume that you have selected the profitable keywords after a proper research and your visibility score is perfectly valid then this is the time to discuss how can we improve the visibility. This activity is also called "technical SEO". Search engine hate websites with errors such as broken links. The first thing you should do is to remove all errors. You can find errors by using tools such as screaming frog or deep crawl. Not only the errors but also the slow websites cannot get good Google ranking. GTmetrix is a free tool which not only tells the speed of your site but also suggests how you can improve it. Use this tool and act accordingly. Also, not following Google guidelines would be a big mistake. Some people argue that Google is not a law. That is correct but because you are relying on Google to get the traffic, you must follow their SEO guidelines or you will be penalized.